In the battle for consumer dollars, brick-and-mortar stores are a clear winner—beating out online sales with a growth rate of almost 4% annually since 2010 * . 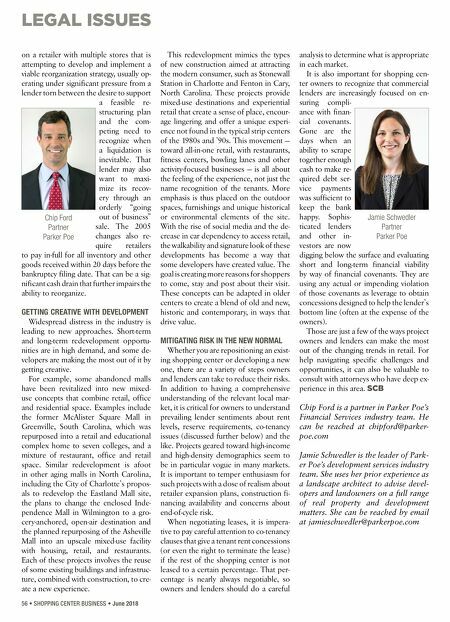 At Wheeler REIT, we know customers will always value the personal attention, immediacy and hands-on experience they can only get through retail shopping. 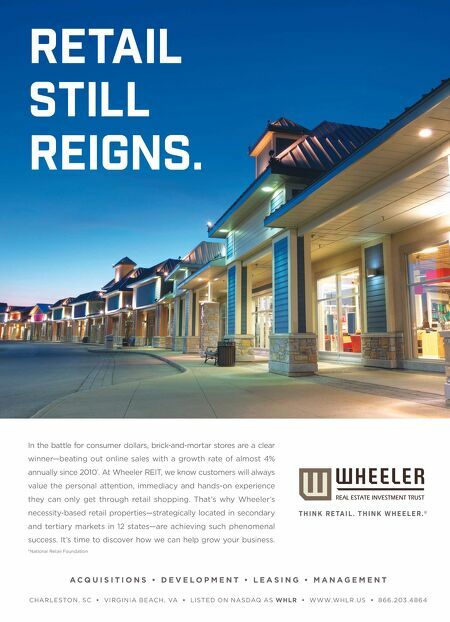 That's why Wheeler's necessity-based retail properties—strategically located in secondary and tertiary markets in 12 states—are achieving such phenomenal success. It's time to discover how we can help grow your business. *National Retail Foundation A C Q U I S I T I O N S • D E V E L O P M E N T • L E A S I N G • M A N A G E M E N T C H A R LE S TO N , SC • VI RG I N IA B E AC H , VA • LI S TED O N N A S DAQ A S WH LR • W W W.W H LR .U S • 8 6 6 . 203 . 4 8 6 4 T h i n k R e ta i l . T h i n k W h e e l e r . ® Retail still reigns.